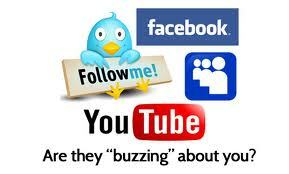 Making people talk about your brand and its related campaigns is at the core of any social media activity. If your tweets, pins, Facebook posts, and videos, etc. are not liked, shared, or commented upon, they are not of much use. Making a content unit go viral is the Holy Grail of social media, but as it has been said, there is no specific formula to achieve that end. If you follow 4 simple steps, you can improve the chances of creating a buzz on Social Media around the post provided, though there is no guarantee of it necessarily going viral. It has been proved since time immemorial, that it is not data or hard facts that influence people, but interesting stories, which move people to their wallet. If you are still in doubt about how the human mind works, then this blog post on Scientific American might help. Despite this, so many companies are failing to make a proper use of stories around their brands. Do not make the same mistake, and make a relatable story out of your product to share on social media, instead of shoving facts and features under the consumers’ noses. Before a post, or campaign (or whatever it is that you want to go viral) becomes known to the world, it is analyzed, and talked about by the ‘opinion shapers’ of the industry. Every industry has a set of people who influence the fate of a product in that industry, just like movie reviewers. These people are knowledgeable about the relevant industry, as their reputation hedges on the quality of their reviews and the level of insider access they have. These people are always hungry for information, so by providing them with the right information, you can tip them off by providing insider information about your product, its making, its features, screenshots (or images), scheduled release date, current development etc. You can provide such information to the opinion leaders in your niche so that they can begin talking long before the launch is due. This sounds good, but there is no direct route for reaching opinion leaders in your niche. You need to search for them on Quora, forums like Boardreader, and twitter (use Wefollow and Mentionmapp to find influencers on twitter), etc. You can also search Alltop to find blogs dealing with similar types of products. This is old school, and it works like a charm. To make it more effective, you can add a social angle to it by including a quote or two from key bloggers and/or social media influencers in your press release. This will satisfy the desire for recognition of the person you quote. Write a press release about the product you are going to launch, strictly following the press release format, and along with your product page (or instead of it), provide a link to Facebook page where the conversation is taking place. To emphasize, I’ll recommend sharing a link to the Facebook page (or a twitter profile link, for that matter) where the discussion around the product is centered. You may distribute your news using free press release distribution systems, but if you have a decent budget, you should use paid news distribution services, as free ones can only take you so far. Engaging your community is as important as finding and sharing information with influencers in your niche, because each one of your fans and followers have several other fans who may not be aware of your brand. In a sense, they are mega connectors in their own right. You need to persuade them to like, share, or comment on your posts. Engaging your existing community is one vital step in creating a buzz around your product. Following these steps will give you a head start provided you have an interesting product. Keep in mind that putting in tremendous efforts in steps to generate a buzz around your product will amount to zilch if your product is not of high quality. In our time and age, a high-quality product is the minimum that a customer expects. It is not expensive to create one, so before you embark on the buzz generation journey, you need to get your product right. As they say, even good marketing cannot sell a bad product! How to use Twitter for e-learning: SPJIMR Students Are Using it and You can too!